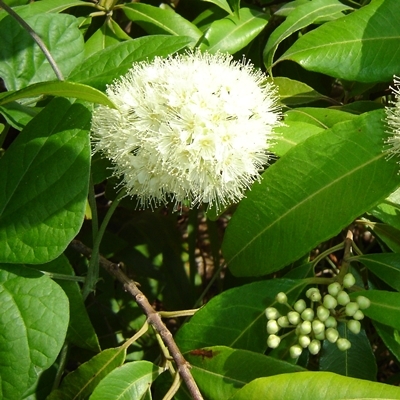 A plant/tree/flower that you would not be without in a garden? I have a few edibles on the list of course. When we came to our new property in Capalaba, it was a productive wasteland in many respects. No fruit, no vegies and no herbs. I had brought across a few things in pots- asparagus, turmeric, bananas and a lime tree that could be transplanted. I also insisted on bringing the trailer load of compost that was ready to use. That was it. I really missed dashing into the garden to pick lunch or dinner, and the vegies that I hadn’t had to buy for years were sooo expensive and not organic. And, I really missed not having my own fresh, home grown, herbal tea. 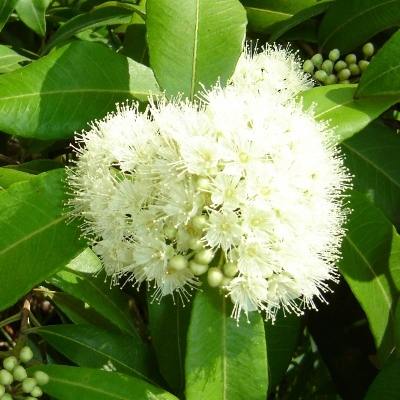 So, I experienced much joy when a friend, Kathy, arrived on several occasions with huge armfuls of Lemon Myrtle leaves after trimming her tree. You see, Lemon Myrtle would have to be my favourite tea. It’s lemony, refreshing and aromatically wonderful. It’s a shot of happiness for a herbal tea drinker like myself. After a few months in the new house, I discovered that joy of joys, we did have a Lemon Myrtle tree growing after all. It was hiding along the back fenceline, hidden by weeds, and so tall we couldn’t quite harvest without a very tall ladder. So, it got a severe trim to head height and after a protracted time of TLC, began to sprout leaves again. Just in case it didn’t survive, I bought and planted 3 more Lemon Myrtle trees! This small to medium native Queensland tree is one of my favourites for a productive garden. I use the leaves for many different reasons apart from tea, and each recipe is delicious! Its compact size makes it quite suitable for suburban gardens, but it really does best in a moist area with enriched, loamy soil, as it is a rainforest edge tree. If you have a sunny garden: When it’s planted in full sun with moist, enriched soil, it will grow into a shrubby shape and carry its lemony fragrant leaves almost to the ground. If you have a shady spot: When grown in part shade in a rainforest setting or in a drier garden, it tends to grow tall and narrow. It happily accepts trimming and pruning to a shape that suits your garden. I have seen it trimmed into a Christmas tree shape at Roma Street Parkland and as a topiary in a large pot. Our subtropical climate encourages us to entertain outside, and if the mozzies attack, grab some Lemon Myrtle leaves. Rub them onto your skin to deter the biting pests. It smells pleasantly lemony, so you will have a natural skin perfume too. The volatile oils are a definite deterrent to our biting ‘friends’. The heads of creamy flowers in summer are a real winner, attracting butterflies and beneficial insects to your garden. My stingless native bees just love buzzing happily around, looking for nectar in the flowers. The leaves make a wonderful tea, syrup or can be dried and powdered to use in any number of sweet and savoury dishes. 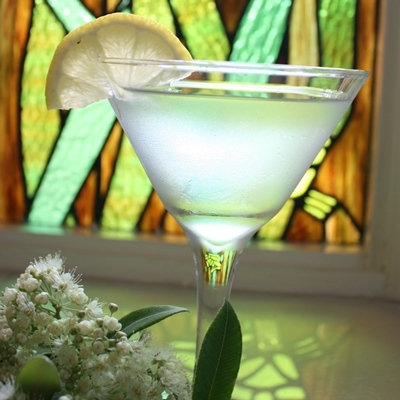 Try this recipe for Lemon Myrtle Cordial. It can be hard to find Lemon Myrtles as myrtle rust can be an issue for trees transiting through nurseries. 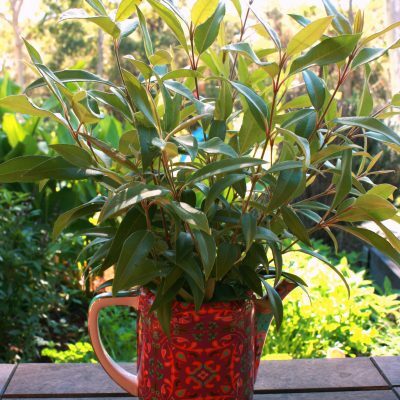 Buy a Lemon Myrtle as a small plant in a 140mm or 200mm pot , transplant it into deep, loamy soil, water well and before too long it will be a nice, useful specimen in your garden. But don’t be too eager- harvest no more that ¼ of the leaves at any time.